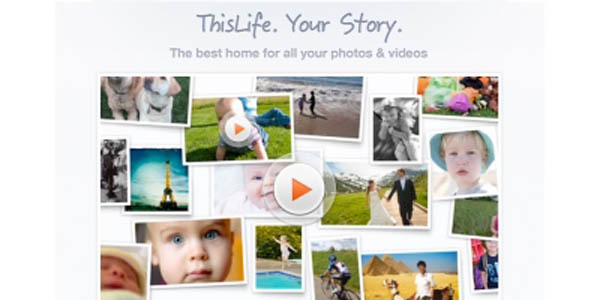 ThisLife announced the launch of its online photo storage, management, and sharing service at Amazon re: Invent last week. The service, which raised $2.75 million from an impressive group of investors in June, is obviously not the first company to try to solve online photo storage, organization, and sharing, but it’s definitely one of the slickest ones I’ve seen in a long time. It’s also one of the first startups to use Amazon’s new Glacier data-archiving service in production, something that helps the company keep its prices down. The service, which was founded in 2010, offers the usual features you would expect from an online photo service, but as the founders, husband-and-wife team Matt and Andrea Johnson, told me earlier this week, they decided to take a very different approach from the usual photo-sharing service. Instead of putting the emphasis on sharing, they realized that most people also want to upload all of their photos and find a safe spot for them. In addition, they decided to ensure that the service can help its users organize their photos without too much hassle. I don’t understand why I can’t subscribe to it. Is there anybody else getting identical RSS problems? Hi, we’re not experiencing any difficulties with the RSS feed. If you have a Google/gmail account, I would suggest using that instead of Live Toolbars or switching off of a default and trying another option. You can also follow highlighted articles on Twitter or Facebook or sign up for the weekly newsletter by entering your email in the sidebar box. Thanks for subscribing!